Deleting a group will automatically remove all members along with all messages and the group will disappear. 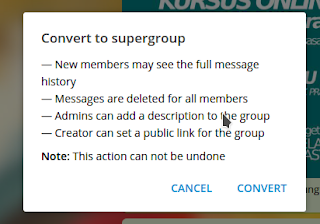 On Telegram Desktop, basically you just need to convert the group to Supergroup and then click Delete Group button. 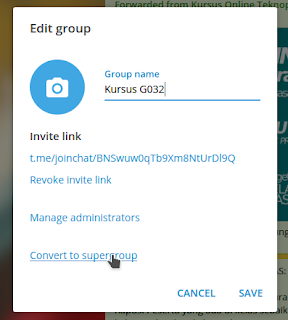 In order to practice this, I did delete some of my groups on Telegram 1.2.1 on my KDE neon and it worked (however, current latest version is 1.6.3). Detailed step by step instructions are available below. Happy cleaning! 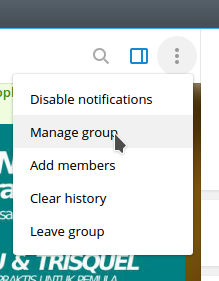 Enter the group you want to remove > click the group menu button (the vertical triple dots) > Manage group. 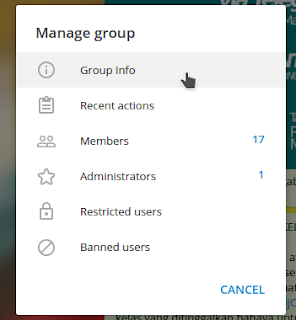 From Manage group dialog showing, click Group info. From Edit group dialog showing, select Convert to supergroup. From the convert to supergroup dialog, select Convert. Now, the group should be converted to Supergroup. Go to Manage group once again > Manage group > Group Info > scroll down > select Delete group. You will be asked to be sure to delete the group. 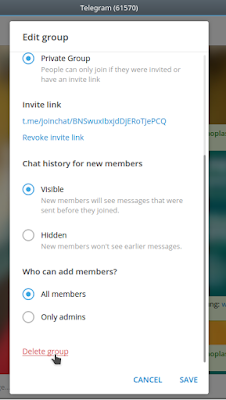 All members well be removed along with all messages. Select Delete. You should see that the group is no longer there. 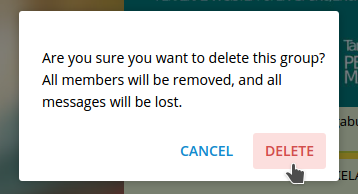 You can repeat steps 1-5 for other groups you wish to delete.